A UniSA researcher has called for a change in Australia's building codes in the wake of a study which shows new homes can be less resistant to heat than older, double-brick houses. In a paper published this week in the international journal Energy and Buildings, Dr. Gertrud Hatvani-Kovacs and colleagues also discuss Australians' over reliance on air conditioning, which is placing pressure on the grid, increasing electricity prices and causing more blackouts. Dr. Hatvani-Kovacs, a Research Associate with UniSA's School of Information Technology and Mathematical Sciences, says Australia needs to change its approach when it comes to cooling homes in summer. In a study of typical, single-storey brick veneer homes in Adelaide and Sydney during a heatwave, UniSA researchers found that a newer home with a 6-star energy rating used the same amount of energy to cool the interior as an older double brick home with just 2.6 stars. "The newer homes can be more prone to overheating in summer because of the high levels of insulation and air tightness coupled with a lack of shading and natural ventilation. We need housing designs which are both energy efficient and heat stress resistant. "Over the course of a year, some newer homes can perform better than older ones only because they are more energy efficient in winter, but the reverse applies in summer." Dr. Hatvani-Kovacs says the other major problem is that Australians are becoming too reliant on air conditioning. 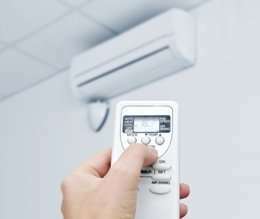 "Air conditioning changes our behaviour. It can have a reverse adaptation effect where people become acclimatised to it and therefore demand lower temperatures in summer to achieve comfort. "By setting our systems at cooler temperatures we are dumping waste heat to the streets generated by the air conditioners, placing extra demand on the grid, forcing prices upwards and causing more blackouts. If a power cut does occur, it places people's health at risk because their body is used to cool temperatures and they forget how to adapt to even moderate levels of heat." The solution, she says, is to incorporate a range of measures in new homes to deflect heat and lessen the reliance on air conditioning. These include appropriate orientation, lighter and reflective roof colours, and reflective foils installed in roof cavities. Planting deciduous trees for natural shading, installing outdoor blinds to block the heat and opening windows at night when the temperatures are lower outdoors than indoors all help to cool a home and minimise the need for air conditioning. More than 90 per cent of SA residents and 60 per cent of NSW residents have air conditioning but very few have double glazed windows which are effective in keeping houses cool in summer and warm in winter, she says. Dr. Hatvani-Kovacs says building codes need to incorporate separate energy ratings for heating and cooling to give home owners a more accurate assessment of their efficiency. "The current focus is making homes more energy efficient in winter but we should be looking at overarching housing designs that are both energy efficient and heat stress resistant in the Australian climate." The paper "Heat stress-resistant building design in the Australian context" is published in Energy and Buildings, an international journal focused on energy use and efficiency in buildings.